The White House is fighting back, as critics attack the Republican's tax overhaul proposal. 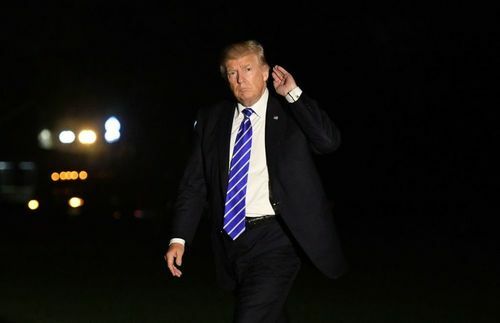 President Trump tweeted the plan had received 'great reviews' and slammed Democrats for not backing it. Independent analysis shows the changes could reduce federal revenue by more than $5 trillion over a decade. Democrats say the tax cuts are too heavily skewed toward the rich. 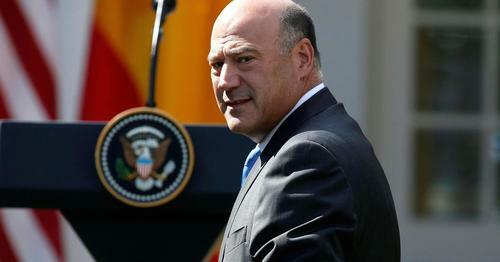 Top White House Economic Advisor Gary Cohn told CNBC that interest groups were misinterpreting the proposals, but scepticism remains over whether the Republicans will be able to push through their tax plan. House Speaker Paul Ryan told CNBC he's confident that his party will be able to make quick progress. 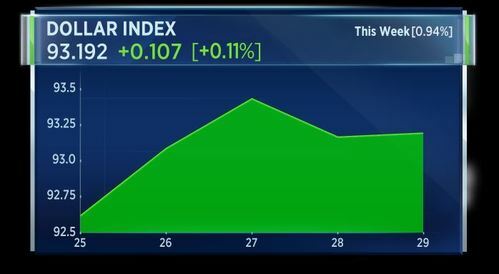 The dollar index held gains of around 1 percent for the week, thanks to a boost from the tax plans. The White House goes on the defensive, arguing the President's tax plan will help 'everyday Americans' and cuts will pay for themselves through economic growth. 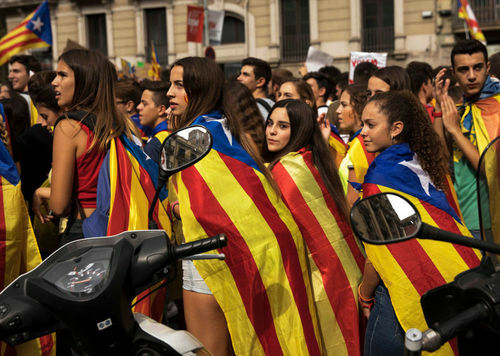 Spanish authorities confiscate hundreds of thousands of ballot papers, but Catalan officials call for EU intervention to protect Sunday's independence referendum. A 'new dynamic' in Brexit talks. Negotiators Michel Barnier and David Davis hail progress in the latest round of discussions, as Brussels indicates it may be open to Prime Minister May's hopes for a transition deal. Twitter is slammed by a top Democrat, for failing to provide useful information on over 200 Russia-linked accounts that could have meddled in the U.S. election. Economic advisor Gary Cohn is under fire for suggesting the typical American family earns $100,000 a year. In reality, the mean and median family income are both much lower. Click the link below to get the numbers. Cohn also suggests $1,000 could buy you a car. Spanish authorities have released a video showing hundreds of thousands of voting papers being confiscated. The ballot papers, intended for Sunday's Catalan independence referendum, are shown being loaded into a truck. Separatists have called for people to still turn out to vote, and to form queues at polling stations if they are closed by police. Speaking in Brussels, Catalonia's foreign affairs chief called on the EU to intervene to support the vote. Diplomats on both sides of the latest Brexit negotiations say they have made progress in Brussels, but not enough to move forward to the next phase, where they can address questions about a transition deal and long-term trade pact. The talks come ahead of Prime Minister Theresa May's visit to Estonia, where she is expected to reiterate Britain's commitment to Europe's security. 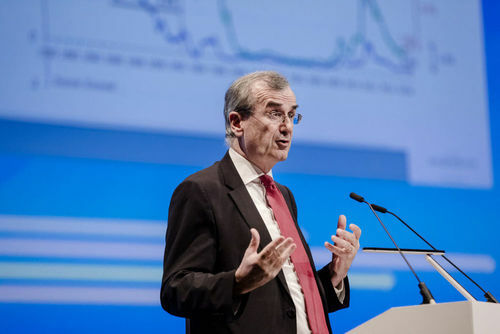 The ECB should take a two-pronged policy approach, according to governing council member Francois Villeroy de Galhau. He says the central bank should keep policy accommodative, while slowing the pace of its asset purchase plan. In a speech to bankers, he said the current economic climate will lead to higher inflation, eventually. Meanwhile, Federal Reserve Vice Chairman Stanley Fischer said it is important the Fed unwinds its $4.5 trillion balance sheet to keep its credibility. He said the bond-buying program was described as temporary and now needs to be proven as such. 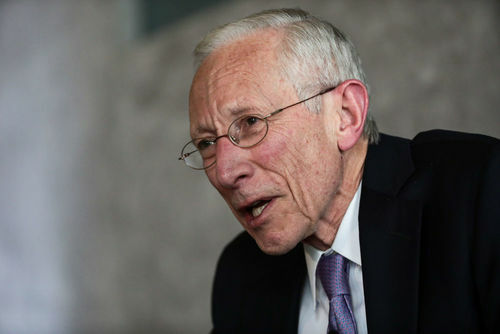 Speaking in London at an event to mark 20 years of the Bank of England's independence, Fischer said central bankers need to be ready for anything. Carillion announces a further £200 million provision for support service contracts, on top of previously announce £845 million for construction contracts. The company also revealed a first half loss before taxes of £1.153 billion versus profit of £83.9 million last year. H1 revenue was £2.498 billion, compared to £2.48 last year. 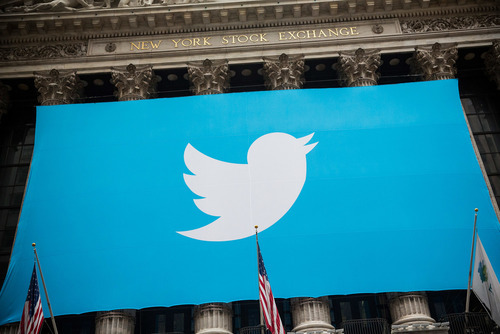 Twitter says it has removed hundreds of suspicious accounts linked to Russia, but one leading U.S. lawmaker says the social platform is not doing nearly enough to fight Russian political meddling. Following Twitter's closed-door testimony on Capitol Hill, Mark Warner, a Democrat on the Intelligence Committee, said he wasn't impressed. 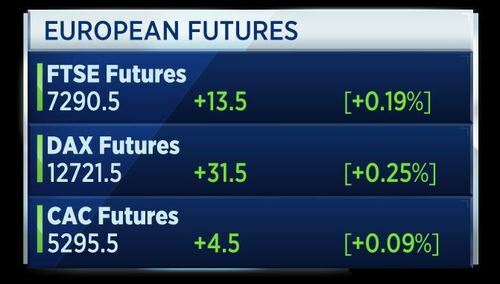 European markets look set to open higher for the the last session of the week, month and quarter. Pirelli is pricing its IPO at 6 euros 50 cents per share, ahead of its debut on the Milan stock exchange next week. 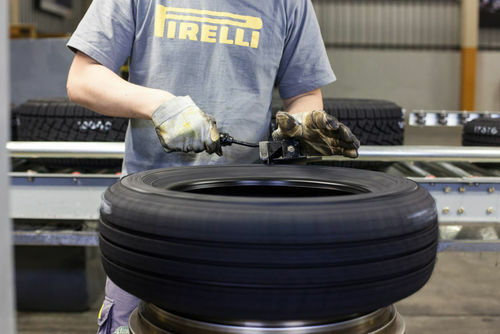 The Italian tyre-maker said the listing is expected to raise up to 2.6 billion euros. Pirelli had reportedly cut its IPO valuation by 19 percent earlier in the week. 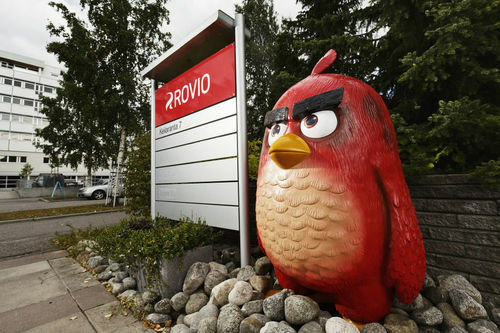 Meantime, Angry Birds maker Rovio priced its IPO at the top of its initial range. 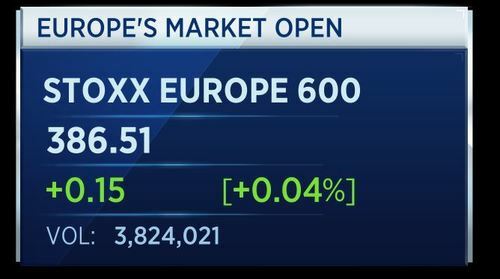 At 11 euros 50 cents a share, it will have a market value of around 900 million euros. The Finnish mobile games maker says it will use the proceeds to invest in growth. However, Spanish authorities say they have done enough to discredit and prevent the referendum. Madrid has called the referendum illegal and has taken steps to prevent the vote from happening. They added that they may allow for a secessionist "party" on Sunday - the day of the planned vote. Meanwhile, protests have broken out across Catalonia. This after Spanish police raided Catalan government offices and arrested officials last week. 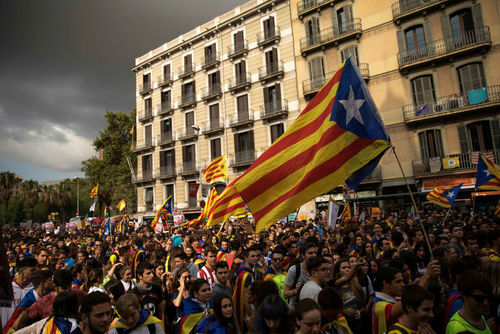 Catalan leaders have called for a democratic response. And Spanish prime minister Mariano Rajoy has weighed in, saying he is opposed to the vote. 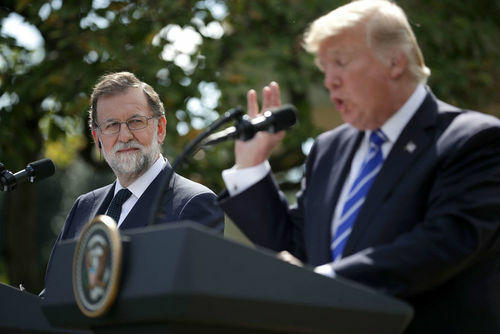 Speaking at a press conference with U.S. President Donald Trump this week, Rajoy said it would be "ridiculous" if the wealthy northeast Spanish region of Catalonia declared independence. President Trump, meanwhile, called for a united Spain. French inflation data is a little higher. September CPI edged up to 1.1 percent year on year from 1.0 percent in August, according to INSEE. August consumer spending fell 0.3 percent month on month, way below expectations of 0.3 percent growth, and down from 0.6 percent growth in July. Producer prices in August rose 0.4 percent month on month and 2 percent year on year. French public debt stands at 99.2 percent of GDP at the end of Q2, up from 98.8 at the end of Q1. 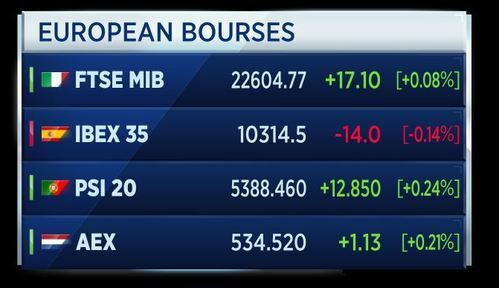 European markets have opened marginally higher at the start of the session. 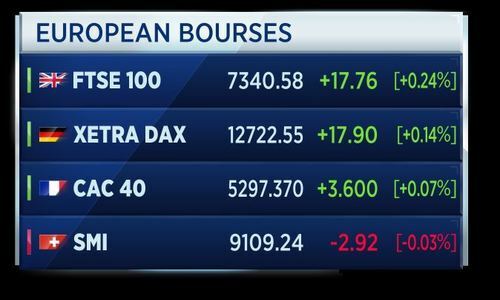 The British and Portuguese stock markets are seeing the most gains in a cautious start to Friday training. 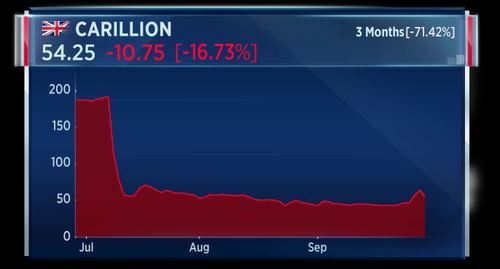 U.K. construction company Carillion shares are down sharply today following poor first half results. The share price had been rising in recent days on reports that the company was being approached regarding a takeover, bu the company's CEO today declined to comment on whether it will be sold or not. Bayer has sold a 6.9 percent stake in plastics company Covestro for one billion euros. Its remaining stake is now under 25 percent. Bayer previously sold off three other blocks of Covestro shares. Today's move means it has ceded control of the firm and will classify it as a discontinued operation. 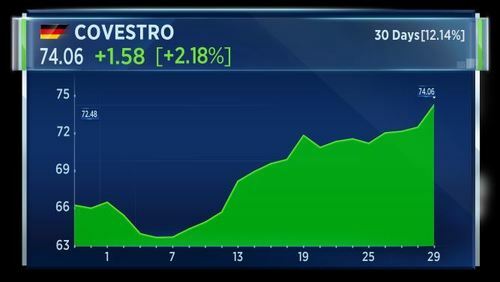 Covestro shares are rallying on the news, rising as much as 3 percent. 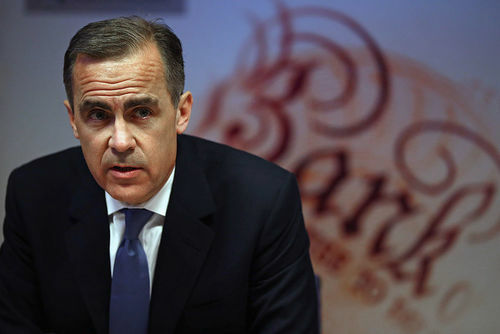 Bank of England Governor Mark Carney says they see some issues on household debt, he told BBC Radio. Carney says the central bank sees a series of issues around Brexit and they are taking action to mitigate risks to the U.K. economy. These issues include a downtick in productivity due to Brexit uncertainty. He adds there are questions around financial contracts after Brexit that can't be solved by the BOE. He also says the UK economy is on track for rates to increase in the relatively near future and they will be limited and gradual. Rocky foundations. UK construction firm Carillion warns on profits, sending shares lower, while Nationwide says London house prices are falling for the first time in 8 years. Shares in VW and Porsche hit the skids after Volkswagen increases provisions for its emissions settlements, while Munich prosecutors arrest an ex-Porsche executive in the emissions probe. A new mate for Merkel! 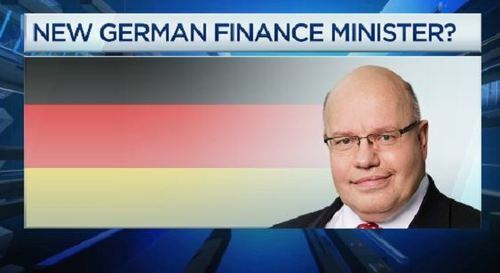 Reports suggest her party ally Peter Altmaier will temporarily get the finance minister job, when Wolfgang Schaeuble leaves the position to become president of the Bundestag. The Saudi Arabian Capital Market Authority is on a mission to transform the country's bourse into a regional hub and a global centre of finance. One event which is set to bolster the international profile of the kingdom's equity markets is the planned IPO of the country's state oil firm Saudi Aramco. 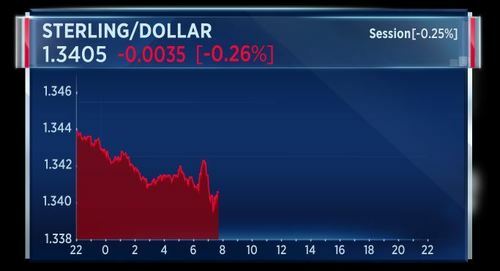 Sterling is down against the dollar today, possibly on recent dollar strength thanks to the U.S. tax reform proposals. The pound was also affected by news from Nationwide that U.K. house prices have fallen for the first time in 8 years. Angela Merkel's chief of staff Peter Altmaier is reportedly to take over as Germany's acting finance minister to replace Wolfgang Schauble. He will take on the role by the end of October. Germany's seasonally adjusted jobless total in September falls 23,000 to 2.506 million, according to the country's Labour Office. This compares to a forecast fall of 5,000. The jobless rate falls to 5.6 percent from 5.7 percent in August. We're going to close the blog there. Today was the last edition of World Markets Live. The blog has been shuttered. Thanks for reading today and if you've been a regular reader of the blog over the past few years, thank you for all your support and engagement. Enjoy the rest of your day and have a great weekend.